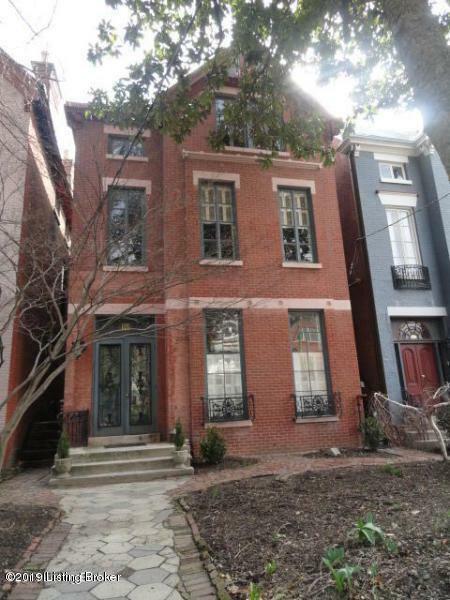 Awesome Old Louisville Condo in sought after Victoria Gardens. 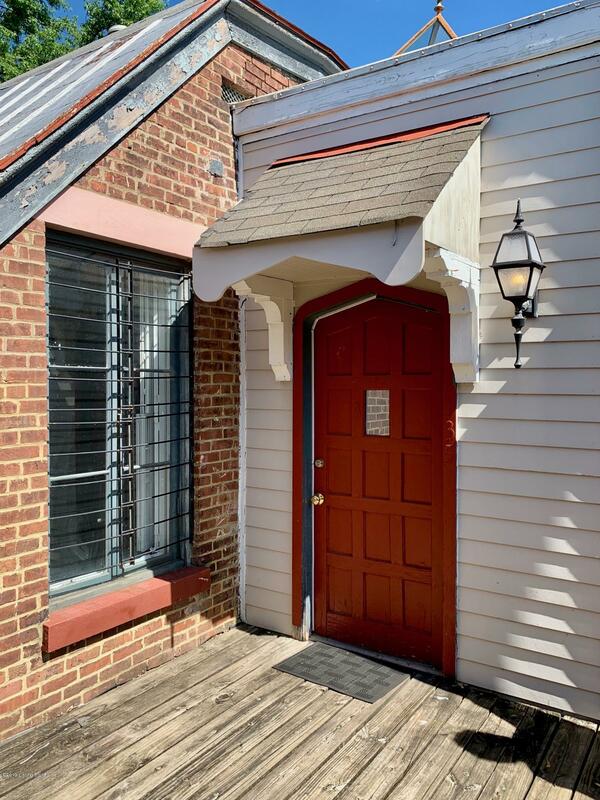 This spectacular 3rd floor unit (which was freshly painted) with its own private deck overlooking the rear gardens is light filled and totally private. The entry foyer with Vintage tile flooring and a pyramid style glass skylight is bright and welcoming. 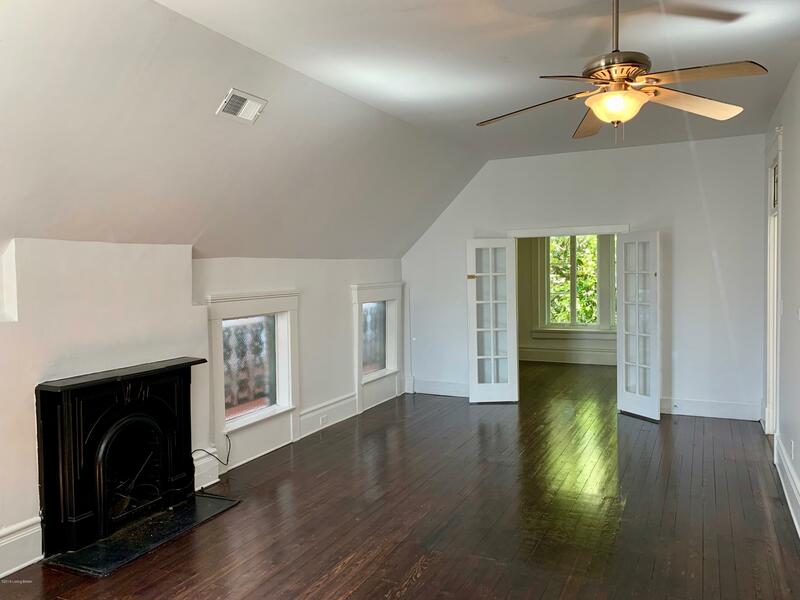 The recessed section of this open and spacious condo offers a library alcove with built-in book cases, a great room and dining area with refinished yellow heart of pine floors and an office/den/sitting area looking out the front of the building. The galley style kitchen offers lots of cabinetry and counter space along with the washer and dryer area. All appliances will remain, refrigerator, range, dishwasher and washer &dryer. There is a guest 1/2 bath with unique porcelain sink dropped into an antique piece of furniture along with white tiled floors. The 14' X 14' master bedroom (with new carpet) is at the rear of the unit and boasts a large bay with new thermal paned windows which overlook the one of a kind English Gardens that the complex is so well known for. There is a large full bath with tub/shower combination and a guest bedroom/office (with new carpet) in the rear section too. 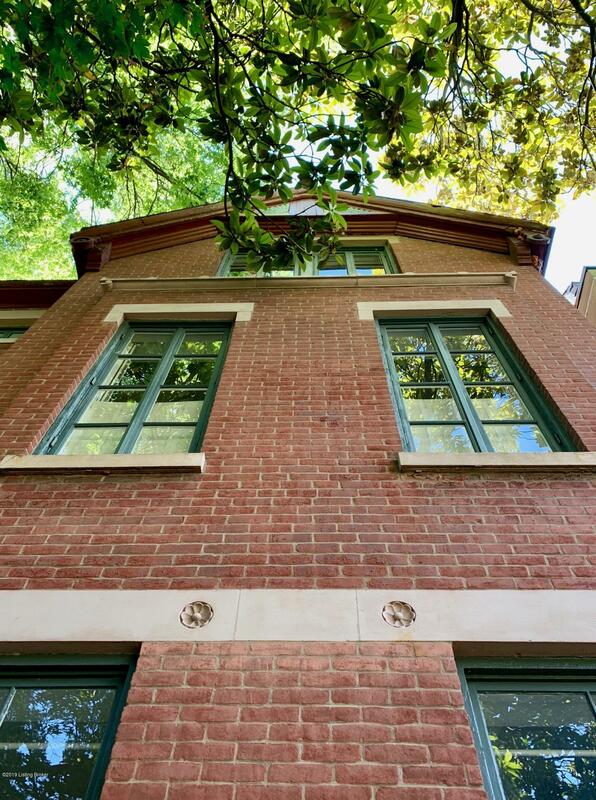 There are beautiful leaded and stained glass windows along with exposed brick accents. The shared 138 ' wide English gardens at the rear of this complex offers a patio with grill, table and chairs and a water feature making a great space for relaxing and/or entertaining. The budget L G & E is $196 per month and the maintenance fee to the condo association is $$234.72 per month and includes water, sewer, exterior maintenance except for windows, grounds keeping, snow removal, master insurance, etc.